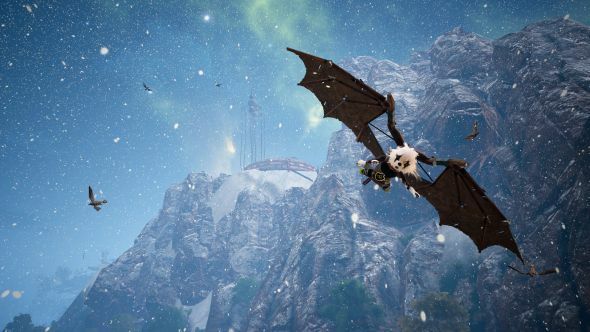 Biomutant will contain a feature that will let you decide how much you want to hear from its narrator. THQ Nordic say the amount you hear of the unseen character will scale depending on how long you’ve been playing, but you’ll also be able to decide for yourself if you’ve had enough. If you haven’t checked it out yet, here’s what we found out about BioMutant at Gamescom. Biomutant is the next game from THQ Nordic, which was first leaked a few weeks ago. It features a weird rodent-thing running around a very pretty open world, with a lot of different combat mechanics to get to grips with. At PAX West last week, IGN captured 25 minutes of early gameplay, featuring the player character as well as the voice of the narrator. It doesn’t take long before the latter gets pretty irritating (at least, in my opinion), as you can see in the video above. When he’s not talking to you like you’re the audience of a pre-schooler’s TV show, he’s interrupting the combat with banal statements, often tripping over himself in an attempt to say something zany. I’ll leave it to you to go looking, but if you make it through the entire video without getting intensely irritated, I’ll be impressed. Fortunately, THQ Nordic say that the amount the narrator interjects decreases over time, getting lower for every hour you play the game in a single session. Less fortunately, this does seem to mean that when you start a new session, you’ll be back to square one. That said, you’ll have an option to turn down the amount of dynamic narration for good, which is something I’d strongly recommend doing. You can’t turn the narrator off completely, because he does play a role in the story. He’ll feature as an NPC, and offer information on the game’s characters and locations. Thanks to the nonsense language that all of the characters speak, he’s also required to translate, which is likely to make up most of his involvement in the game.